Pinsation is a Pinterest app for Windows Phone 7 featuring fast loading, fluid animations, and an intuitive design. With Pinsation you can login with Facebook, upload pins, repin, like pins, create boards, delete pins, comments on pins, and more.Pinsation uses the Pinterest API which is faster and easy to use. 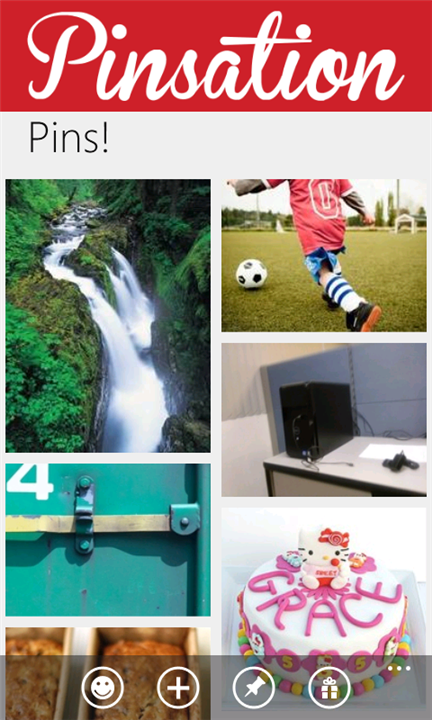 Pin your favorite boards, searches, categories, and users to your Start screen for quick access. Share photos directly to Pinterest with Photo App integration.